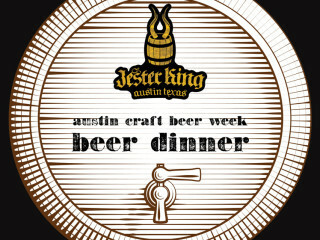 Jester King Beer Dinner at Drink.Well. Jester King Brewery and drink.well. are teaming up for a special six-course dinner kicking off Austin Craft Beer Week (October 26-November 2) that will include rare beer pairings from Jester King’s vaults. Coffee rubbed tenderloin, pecan smoked salmon and beer steamed little neck are just a few of the courses for the night. Plus Ron Extract from Jester King will be on hand to talk about the pairings and the unreleased beer offerings. You can purchase your tickets through Eventbrite.